Live Encounters | Nasim Basiri – Emancipation for Iranian Women? Can Islamic Fundamentalists be Agents of Change and Emancipation for Iranian Women? by Nasim Basiri, Women, Gender and Sexuality Studies, Oregon State University. Nasim Basiri is an Iranian poet and activist from Borazjan in the south of Iran. She currently lives in the United States where she works and studies at Women, Gender and Sexuality Studies at Oregon State University. Nasim’s poetry and other literary works depict the suffering of humans, political and gendered violence and address the injustices associated with marginalization and global apartheid experienced by people in the Third World and the Middle East in particular. As I already mentioned elsewhere, after the 1979 Islamic revolution in Iran, the ruling government has implemented discriminatory rules against Iranian women that has affected and changed non-Muslim and Muslim women’s lives. In early 1990s many of the revolutionary regime’s decisions on Iranian women’s rights had been re-defined and changed. In response to the Islamic regime’s oppression, Iranian women began to oppose and run campaigns against clergies’ gender biases in their interpretations of Islam and demanded their equal rights as citizens but they were confronted with more oppressions such as execution, political imprisonment, economic, social and political isolation and exile. Could Islamic Fundamentalists Emancipate Iranian Women through Re-Islamization? To answer this question, perhaps, we need to look at the recent history of systematical brutalization of women and the utilization of torture and political violence against women by the fundamentalists in power in post-revolutionary Iran. 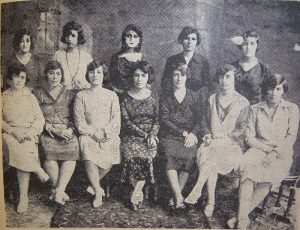 Even Though such accounts of political and religious violence against Iranian women is highly marginalized and overlooked in academic scholarship and literature in Iran and abroad, Iranian women never stopped calling out the fascism through their different ways of resisting the systems of oppression including literary and artistic resistance. The other way of responding to this question is to look at the obstacles to women’s movements in post-revolutionary Iran such as the latest arrests and murder of activists, journalists and human rights lawyers. Based on my twenty one years of living as an Iranian feminist in Iran and my experiences of political pressure and violence on me and a generation of women who are constantly silenced through systematic brutalization and fundamentalist politics of silencing women in the Islamic Republic, I would argue that the misogynist policies and teachings of Khomeini, the former supreme leader of Iran and his associates who are ruling the government until the present moment brought the Iranian nation disastrous and destructive consequences as a result of trusting clergies. In a country that Islam is used as an excuse for anti-women policies by fundamentalists, Iranian women no longer trust the clergies to advocate gender equality through Islam. Therefore, Iranian women struggle for equality through a more secular approach. They also ignore western interventions for gender equality in Iran and find it disturbing and damaging in terms of giving another excuse to the fundamentalists to silence and dismantle Iranian women’s anti-fundamentalist movements by calling the Iranian feminists as pro-western or pro-imperialist feminists who are supported and funded by the west. Perhaps if Michel Foucault was still alive, he would have definitely taken back his words and would have never praised the so-called “political spirituality”  of Iranian revolution in 1978. NASA. Accessed December 16, 2018. https://www.grc.nasa.gov/www/k-12/airplane/newton1g.html. Esfandiari, Haleh. “Reconstructed Lives: Women and Iran’s Islamic Revolution.” Interview by George Liston Seay. The Woodrow Wilson Center. October 13, 1997. Accessed December 15, 2018. https://www.wilsoncenter.org/article/reconstructed-lives-women-and-irans-islamic-revolution. Moghissi, Haideh. “Islamic cultural nationalism and gender politics in Iran.” Third World Quarterly 29, no. 3 (2008): 545-546. Basiri, Nasim “Compulsory Veil in Iran: A Social Justice Problem”, REVISTA UNIVERSITARĂ DE SOCIOLOGIE NO.1, 2018, pp. 50-58. Kian, Azadeh. “Gendered occupation and women’s status in post‐revolutionary Iran.” Middle Eastern Studies 31, no. 3 (1995): 407-421. Afary, Janet, and Kevin B. Anderson. Foucault and the Iranian revolution: Gender and the seductions of Islamism. University of Chicago Press, 2010.